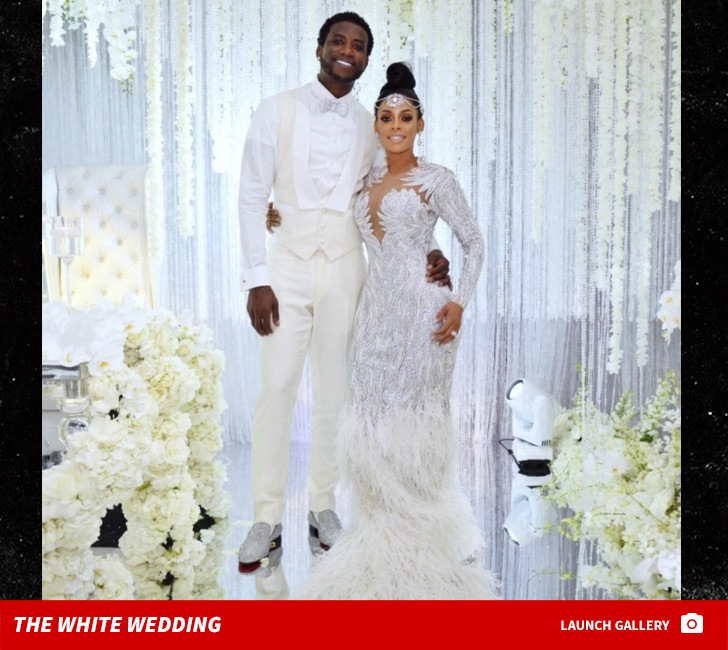 Gucci Mane and Keyshia Ka’oir did more than cut the cake at their wedding reception — they sliced into a 5-figure work of art … with a sword!!! Edda’s Cake Designs tells us their team, including designer Edda Martinez, logged a ton of hours piecing together the 10-foot beast. Yes, that’s the tallest cake they’ve ever baked. We’re told it required 3 months of planning, 3 days of baking, 8,000 handmade sugar flowers and 2,500 Swarovski crystals … for decoration only. No shortage of flavor — it had layers of red velvet, amaretto, carrot, banana nut and Jamaican rum cake. 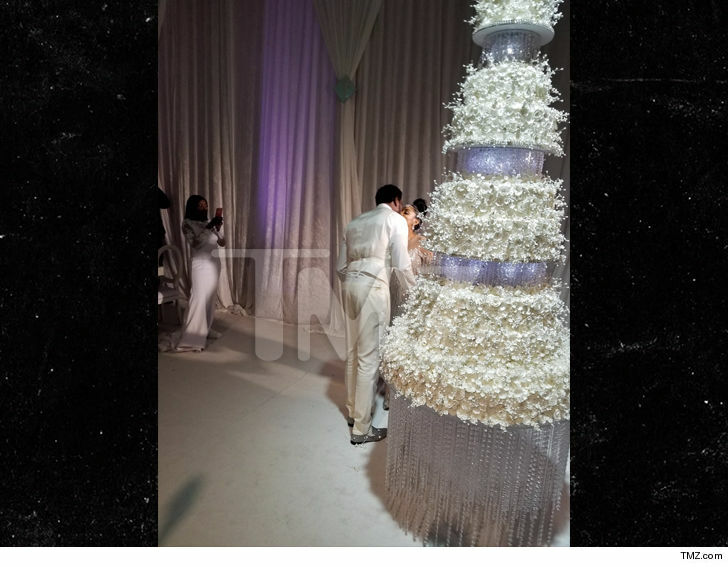 Total cost … $75k, but BET picked up the tab as part of the $1 million ‘Mane Event’ wedding special. Edda’s threw in the sword Gucci and Keyshia used to cut the cake. Looks like they could’ve used a ladder too.